Jim and Ashley, from Country Loft Quilt & Design will be at our store, Always Your Design, May 4th and 5th. They will be here to answer all your questions. He will have a machine here so you can test it out. If owning a machine is something you've dreamed of, this would be a great opportunity to come and talk to Jim. For those of you who are lucky enough to already own an Innova, we have exciting news! we have an embroidery attachment! 2 great options in one great machine!!! and Jim says it's AWESOME! 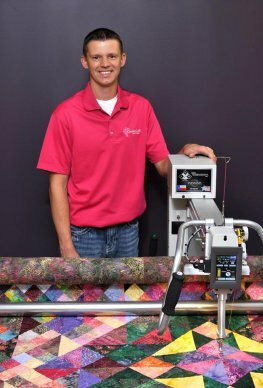 If your machine doesn't have Lighting Stitch, now is the time to talk to Jim and Ashley! If you don't already use Red Snappers, come on in and we will show you how easy they are!